Nagpur: On Thursday, Mahametro gets the first electrical shunting vehicle ‘Buland’ worth Rs 2 crores. The shunting vehicle was inaugurated by managing director, Brijesh Dixit. Testing of all coaches & train sets would be carried out over a span of one year after which the metro would get a safety certificate, he informed. Buland is manufactured by Zephir SPA in Italy. It is powered by an 80 volt, 1,000 ampere battery and has a towing capacity of 250 tons on a levelled & straight track. The 6.8 tons vehicle can be operated on both rail & road at maximum speeds of 5km/hour and 3km/hour respectively. The shunting vehicle would be used for movement of train sets & coaches within the depot area in the absence of overhead power lines, Dixit informed. It would move trains from inspection bay lines & stabling bay lines to the workshop area for heavy repairs. The metro train coaches can be coupled together by 2 kinds of computers. He also informed about the electrical sub-station & a train washing facility inside the depot area. “It is a proud and historic day for the city as the metro project gets its first rolling stock and the occasion of Nagpanchami makes it auspicious too,” said Dixit during the inauguration. The rail cars are expected to be delivered in the next 10 to 15 days, Dixit informed. All coaches that would operate in Nagpur Metro Rail are sourced from CRRC Corporation Limited. 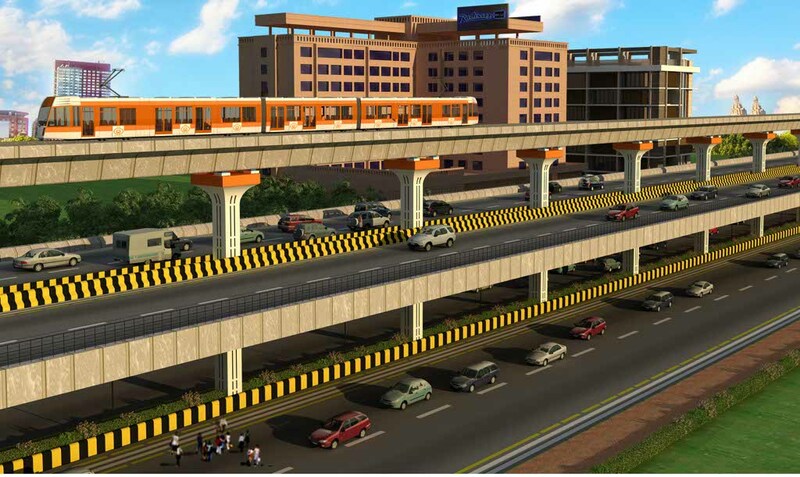 A total of 69 cars will be commissioned in the first phase of the metro rail project. 23 train sets will be formed & each will consist of 3 cars. The total cost of rolling stocks in the project is Rs 852 crores (Approx US$ 133.13 Million) which includes 10 years’ worth of maintenance costs & spares. Each coach costs Rs 8.2 crores.